MERRITT ISLAND, Florida -- The Brevard County Sheriff’s Office has arrested 56-year-old Dennis Turner, of 2135 Emerald Court, Merritt Island, for allegedly having a sexual relationship with a student while he was employed as a drama teacher at Edgewood Jr/Sr High School. The Sheriff's Office says that the investigation was initiated late this past school year when Edgewood received information from concerned parents in reference to what was deemed as alleged inappropriate activity by Turner. The Sheriff's Office was then able to identify a victim. Turner resigned his position at Edgewood Junior/Senior High prior to the end of the school year. Turner was charged with 126 counts of Sexual Battery of a person under 18-years-of-age while in custodial authority. 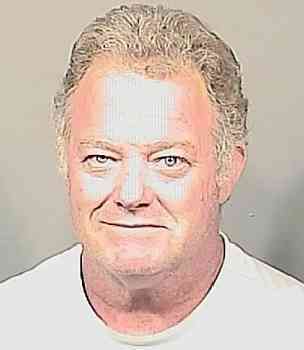 He is currently being held at the Brevard County Jail Complex with a bond of $4,400,000. Turner will go before a judge this afternoon which can be viewed live here. The victim in this case told law enforcement that she engaged in a three-year sexual relationship with Turner beginning when she was 15. The victim stated that incidents occasionally occurred during school hours and on school property. Investigators believe the criminal conduct occurred until the victim graduated from the school.